Hvolsvollur is a small town on the South Coast in Iceland in the Rangarthing Eystra municipality. 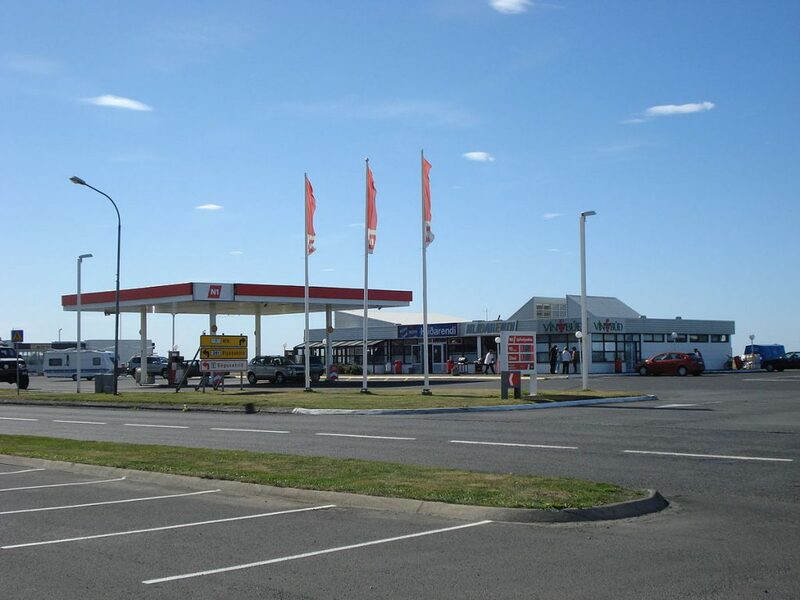 Its population is little under one thousand people but the town has all the necessary services one might need. 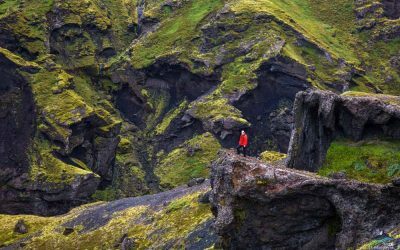 Hvolsvollur is an excellent place to stay when exploring the fascination South Coast of Iceland. How to get to Hvolsvöllur? What to do at Hvolsvöllur? Where to eat at Hvolsvöllur? Hvolsvöllur isn’t much to look at in the moment you arrive there but given the chance, this little village will surprise you, in the best way! The Ring Road 1 crosses through the town, lying almost at the border of it so most only see an inch, but if you take the time to really go into the town, take a soak in the swimming pool, visit their lovely and historic church, have some pizza at Galleri Pizza or browse through their local handicrafts and homemade delicacies you will really start to enjoy this place. 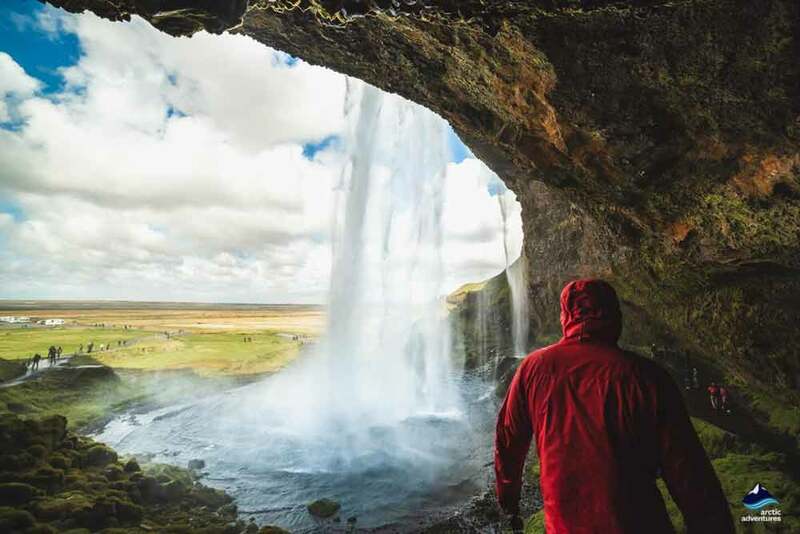 A town of only about a thousand people but offers all the basic services you might desire, a supermarket, restaurants, museums, a swimming pool and hot tubs, hiking paths and most places in Iceland, incredible stunning natural sights only a short distance away. It is a part of the municipality of Rangárþing Eystra, in an area recognized as Landeyjar by the locals. All around Hvolsvollur will find fields and fields of Icelandic horses, sheep and cows as agriculture place an important part in the community and revenue. The name Hvolsvöllur would roughly translate to hill-fields. Which is quite descriptive if you are have visited the area. Above the town is a hill which stretches North into a mountainous area with volcanoes and glaciers but from the town and in almost any direction but North is flat land and vast plains as far as the eye can see. If you are a history buff, Hvolsvöllur was the center of Njál’s saga, one of the most famous Icelandic sagas. A tale of Vikings; feuds and friendships, broken promises and acts of revenge. Njál’s saga or Brennu-Njálssaga as it is more often used in Icelandic has been a favorite of Icelanders for centuries and is now available in almost any language. 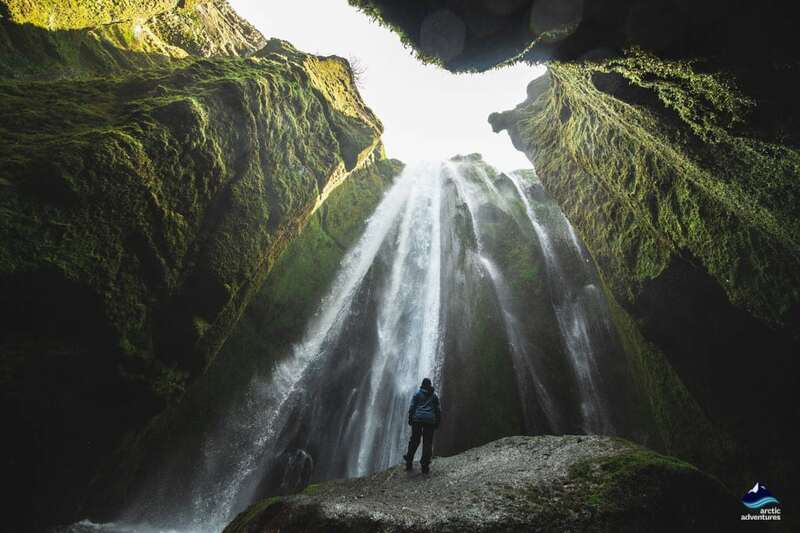 A good read on your travels in Iceland. The settlement of Hvolsvöllur was established in the year 1930. 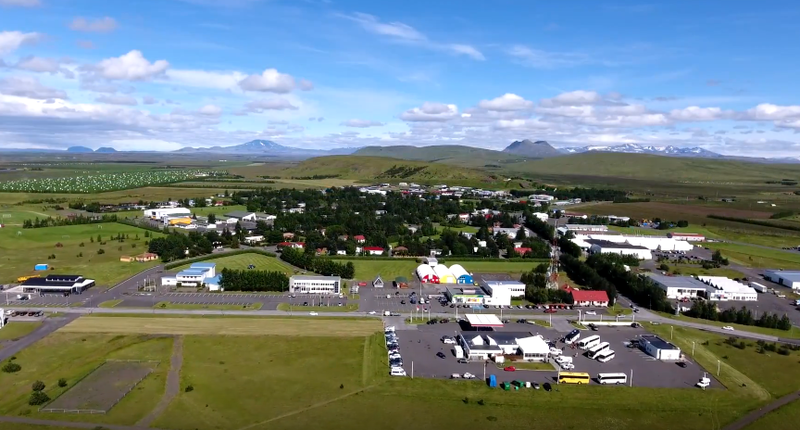 Hvolsvollur is a growing community with new restaurants and shops opening yearly, the newest being the popular Valdís ice cream parlor. Eyjafjallajökull Glacier Volcano which got famous when it erupted in 2010, can be seen from Hvolsvöllur in good weather. The area of Hvolsvollur is placed at the center stage in the Icelandic saga: Njál’s Saga – famous around the world. Hvolsvöllur is only 30 min away from Landeyjarhofn harbor where you can take the ferry to Westman Islands. Hvolsvöllur is located on the south coast of Iceland about 107 km away from Reykjavík and 80,6 kilometers away from Vík í Mýrdal. 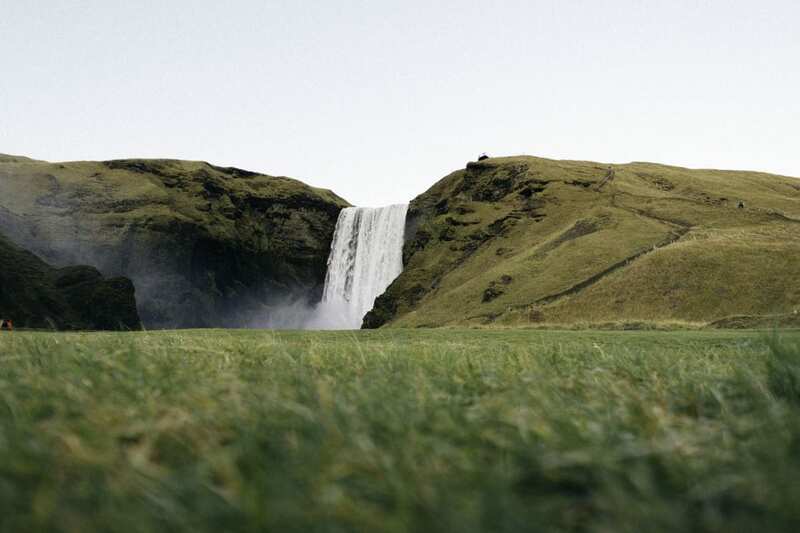 Nearby attractions include Seljalandsfoss, Gluggafoss and Þórsmörk Valley. Getting to Hvolsvöllur can be done in a few ways. 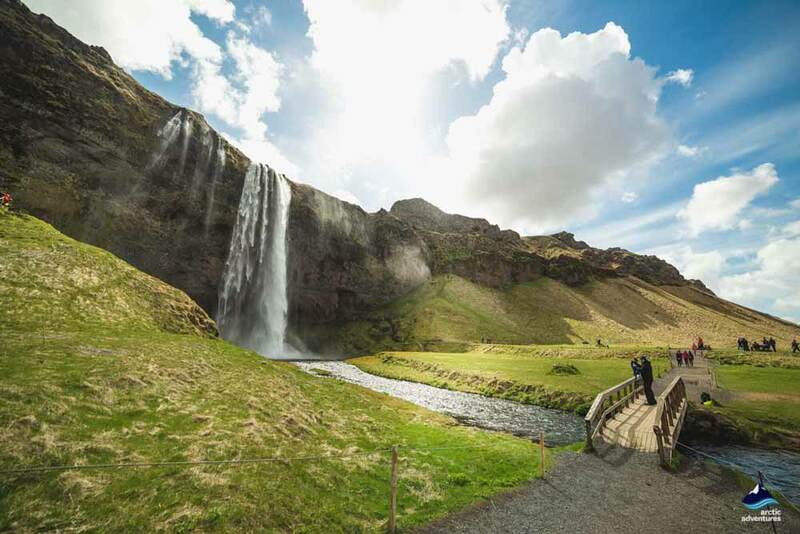 You can easily catch a public bus which drives along the South Coast from Mjódd in Reykjavik once every day, you can rent a car and drive the distance or you can join one of the many South Coast tours. 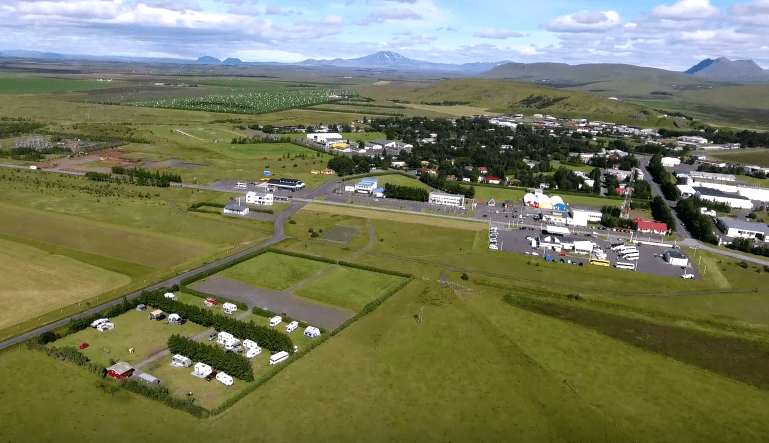 Driving from Reykjavik to Hvolsvollur will take you through Norðlingaholt, via road 1, which you will follow for the extent of your journey, through the towns of Hveragerði, Selfoss and Hella. The drive should take about an hour and 25 minutes. 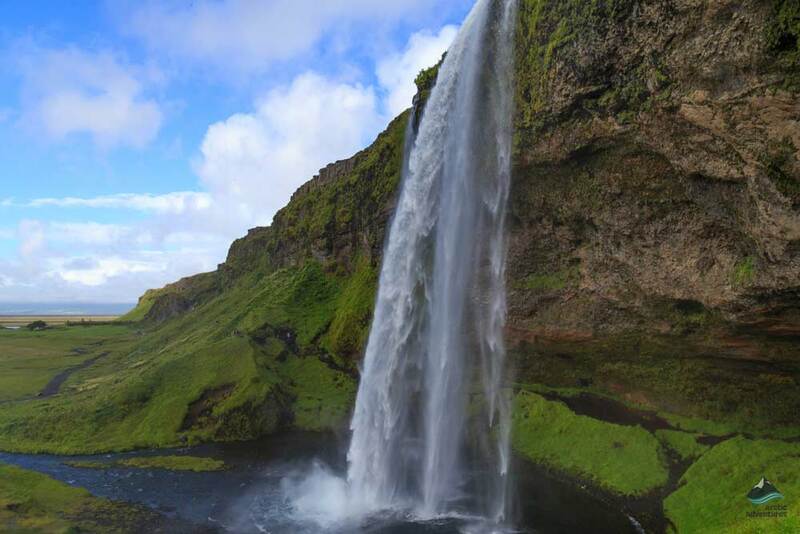 Driving from Vík to Hvolsvöllur should take a little over one hour and will take you past Skógafoss and Seljalandsfoss waterfalls. Visit the Lava Center – this brilliant museum is sure to fill your wonderment bar! 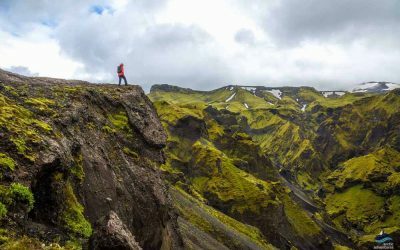 Go through it for a history and geological lesson and learn everything there is to know about the Icelandic volcanoes! What better way to do this than in close proximity to Eyjafjallajökull the famous and powerful stratovolcano. 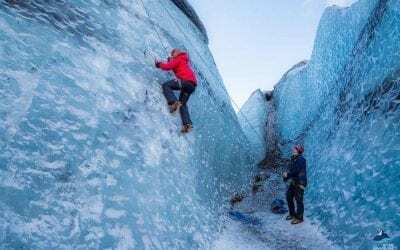 Join one of the local glacier hiking tours on the mighty Sólheimajökull – most of them can even pick you up at Hvolsvöllur! Taste some proper yummy ice cream at Valdís – this place has had a queue since day one, first opened at Grandi in Reykjavík and now at Hvolsvöllur! Check out the Una Local Products market – if there is ever a time to purchase a souvenir it is then and there! Grab a drink at The Midgard Hostel – friendly staff, excellent views of Eyjafjallajökull and fresh Icelandic beer on tap. Go chasing waterfalls! 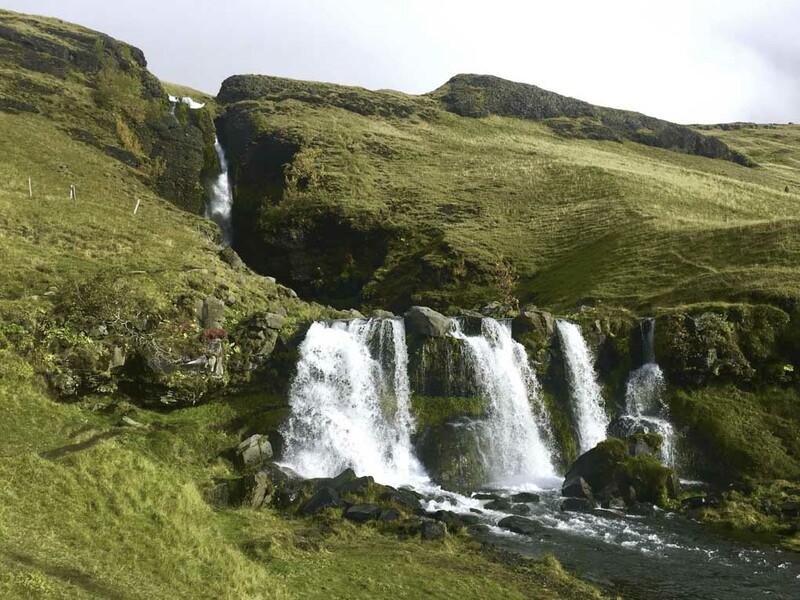 – all around the small town of Hvolsvöllur you will find some water magic, visit Gluggafoss, Seljalandsfoss and Gljúfrabúi, you will not be disappointed. Valhalla – a Viking setting and a tasteful menu! They have great variety and the setting and atmosphere create a memorable experience. Katla Restaurant – located at the Lava Center, an excellent buffet with a wide range of dishes. Eldstó Café – fabulous variety, good for a coffee, lunch or dinner. Delicious cakes! Country Hotel Anna – The traditional Icelandic menu done right; Lamb, arctic char, beef, goose and for dessert some ice cream! Gallerí Pizza – this unpretentious facility serves straight up good pizzas, subs, burgers and other carb-filled deliciousness and is a perfect stop to fill up an energy bar. Midgard Base Camp – some soup, a beer, a burger, a steak sandwich, a cake or maybe just join them for happy hour, these guys know their thing! 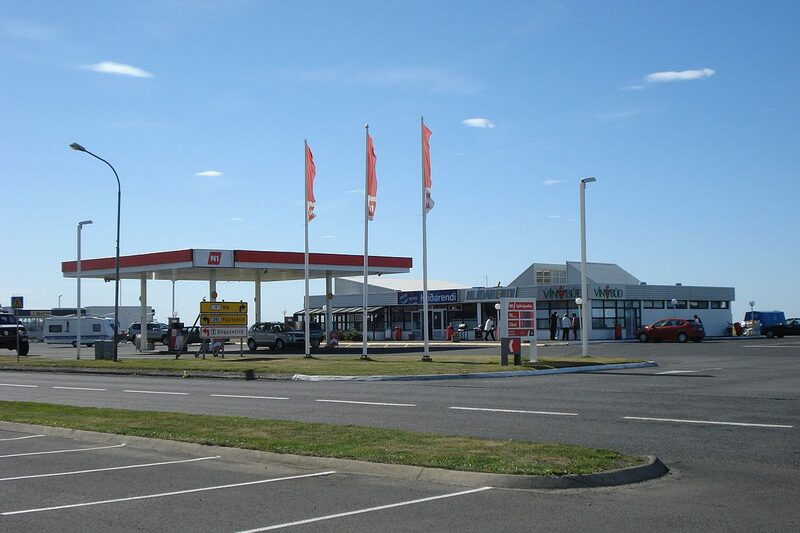 Bjorkin – this gas station/grill will deliver tasty food at a reasonable price. Good pizzas! The camping site at Hvolsvollur is quite old so the bushes and trees have grown to frame it in creating a tranquil and nice setting. Its facilities include showers (400 ISK), toilets, a wifi connection, electricity (1000 ISK), running hot and cold water, washers (300 ISK) and dryers (300 ISK). Right next to the camping ground you can find a playground and the local swimming pool. Hvolsvöllur is a small town but there is plenty to do even in winter. 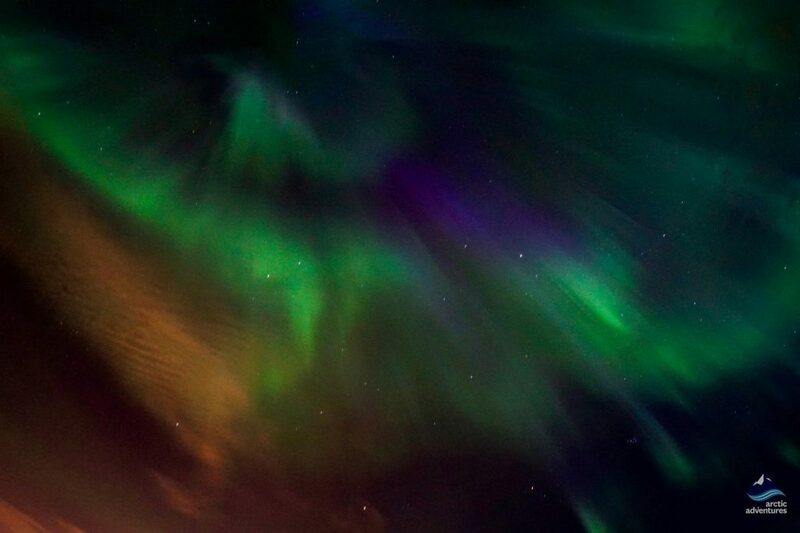 The shops, restaurants, and museums stay open all year round and with the limited lighting, the Northern Lights can often be seen from the town’s center. 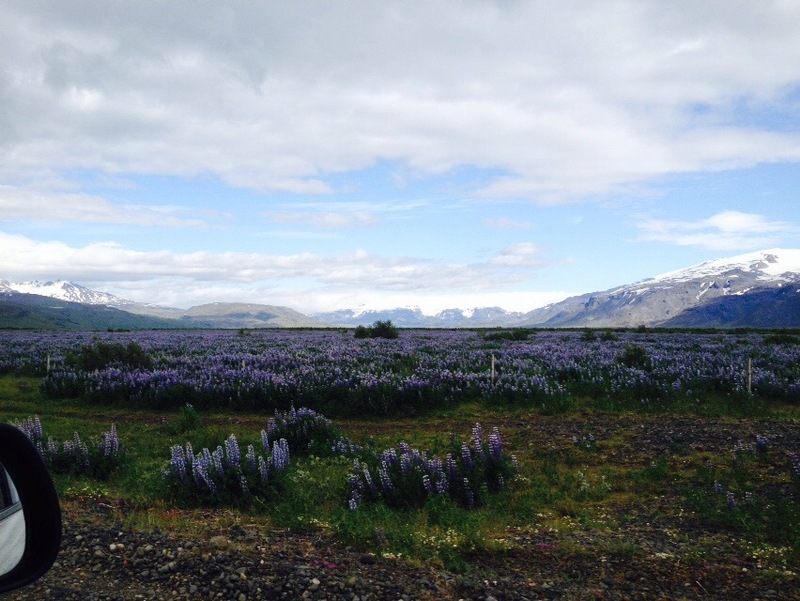 Hvolsvollur is a fantastic place to stay whilst exploring the South Coast and all its magnificent tourist attractions which are many located less than 30-60 minutes driving. 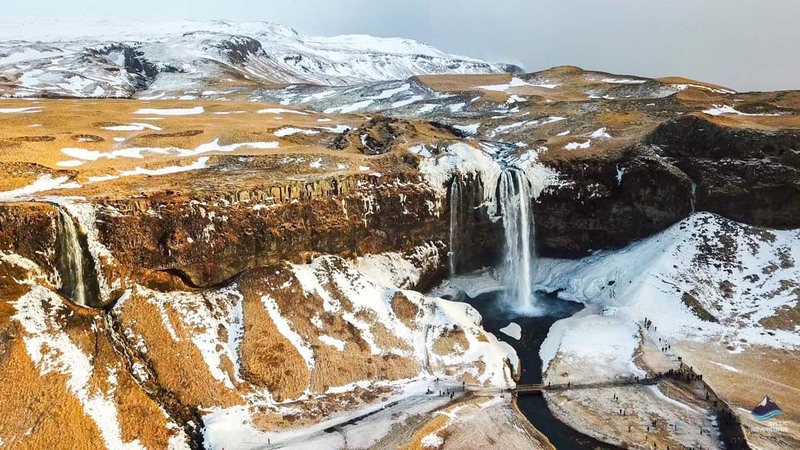 Being located in the South of Iceland, the weather is also milder, less snow and slippery roads are not as common as for example in the North. 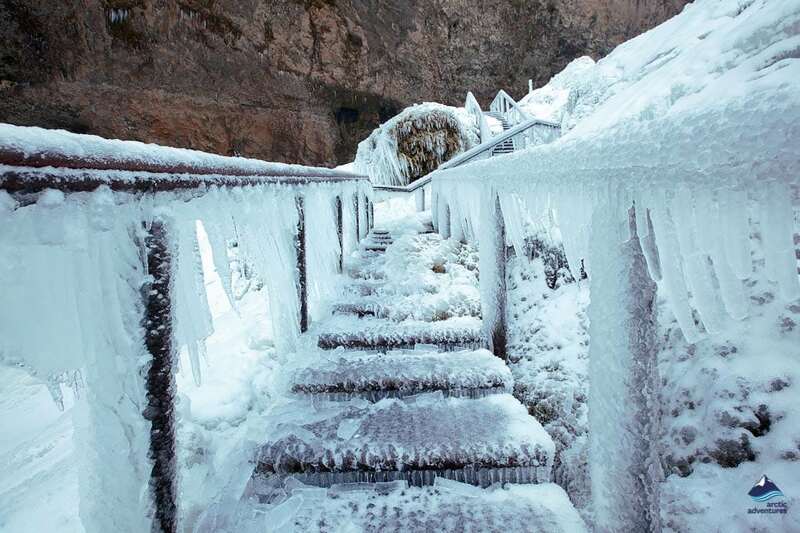 Still, you will need to be well prepared and dress in proper winter clothing, layers and all.